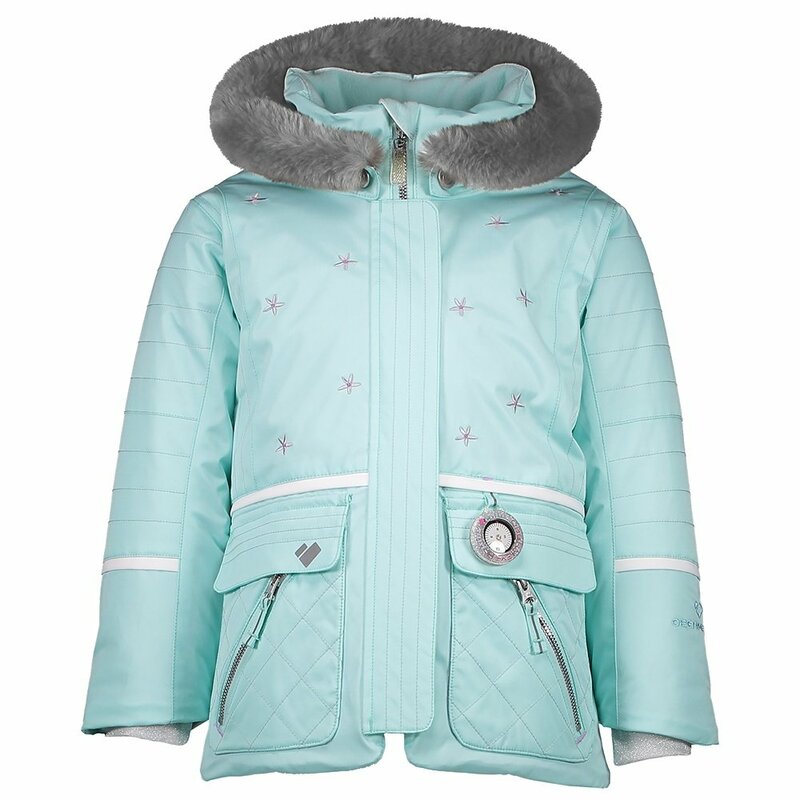 The Obermeyer Lindy Insulated Ski Jacket wraps her in twinkling, colorful warmth. The stylish print fabric provides full weatherproofing, backed by high-loft insulation and a fleece back warmer. The faux-fur trimmed hood extends that warmth up high and removes during warmer days for a lighter, sleeker fit. Stretch inner cuffs, a fleece-lined chin guard, and a powder skirt enhance overall comfort. Other features include a working compass, mitten-retention clips and the I-Grow™ system that helps this ski jacket last longer.